Management is a crucial task and not meant for all. It needs only the best candidates, with rich experience and the zeal to work best for your company. And that calls for some serious candidate selection. Looking for basic management members is not what will make your firm apart from the rest. You need the best, and for that, calling help from reputed Management Headhunters is the key. Our team, Alliance Recruitment Agency is here, and ready to present you with comprehensive help, when it comes to management services. We have the right candidates for you. The main aim of our Management Headhunters is to bridge the gap between employers and the reliable candidates. The best part about our firm is that we are not going to wait for the candidates to call us with their interest level. We will visit them before they do, and will offer them with some lucrative deals to join your firm. You might have set an amount s their salary. And we will help you find the right candidate within that set rate. In this highly competitive marketplace, it is rather difficult to come across the best Management Headhunters. The competition keeps getting tougher with every passing day. But, when it comes to reliable services, our company leads the chart. We have been working in this segment for years, and always happy to offer you with desired results. Now, just like the competition among the recruitment agencies, there are some high end competitions among aspiring candidates, as well. There are few limited seats available, but the number of applicants is huge. So, it is mandatory for you to get along with the best headhunting unit, which will offer you with the right selective help. And that’s when you have to come up to us for the most effective results. We will not judge the candidate solely on his credentials, but also on its management skills. As he is going to be appointed for the management post, therefore, he must know the tricks to get the work done. Not only that, but we will select candidates, based on their experience in this particular niche. So, when they are finally appointed for your firm, you can get the desired results from them. Our Management Headhunters are ready to offer you with help, right from the start till end. If you are not satisfied with our candidate choice and want us to go through the same procedure all over again, we are glad to do that. For us, nothing is better than ultimate client satisfaction. Our Management Headhunters are likely to help you find the perfect fit for your company. 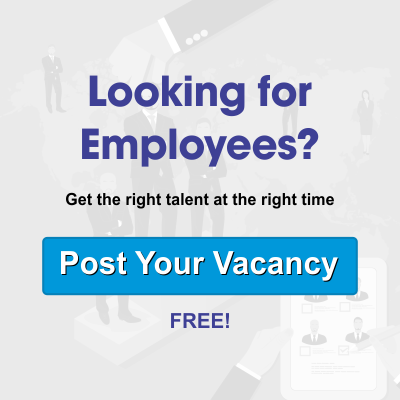 Whether you are looking for candidates to fill the basic vacancy, or just want to deal with the headhunters for covering senior position, we are always there by your side. 100% satisfactory level is what makes us different from the rest. Whenever you are in serious need of some management professionals, call our Management Headhunters for the best help. We are pretty sure of offer you with the right help, and never let you down.